It’s time to bet on the third round matches of European Cups. The first not winning result from Juve. They couldn’t win Jenoa at home. Will it bring a pressure on Ronaldo? But this draw happened in the game where Juventus showed a good-quality performance. MU situation is much worse. They could win at Stanford Bridge but they missed it by conceding at the 96th minute. But the fact is that Mourihno is good at big matches. Who will be an odd man out in this group? This is one of the main intrigues of this autumn. Napoli is taking the lead but he has fights with PSG ahead. Italian press reports that now the team is different and stronger. PSG has won only in match with Crvena Zvezda and got involved into the scandal. There is a suspicion of match-fixing. Now the Parisians must be very angry. How many matches have Inter won in the endings? The last two in Champions League and derby last Sunday. It may lead to one of the variants: Team’s spirit is unbreakable or all these heroism will come to end because of banal exhaustion. Barcelona, meanwhile, has only one problem, still a big one – Messi broke his arm. Guests have more chances now. They were together in one group last season and Shakhtar looked back then pretty well. They tried to get the ball and attack. Few teams can do that against Guardiola’s death squads. Home match in Kharkiv the even won. That time it happened due to underestimation but now the Citizens can’t afford such a thing. Who will be the leading one this time? Last trip to Rome for CSKA was unfortunate – they were beaten with 5:1 score. They have a great team back in 2014. Now they team is full of unexperienced youngsters. It’s really odd, that Goncharenko’s team looks better than Slutsky’s one. The managed to won against Real. But in return they lost Akinfeev. This can be a real problem. Roma is in crisis now. But even now they are considered as the favourites. Do you want to visit greyhound racing, but have no free time for it? 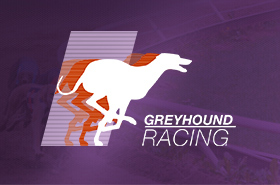 1xBet will help you with it – play “Greyhound Racing” game. Choose a greyhound you like and watch thrilling racing! Eight best players in women’s tennis gathered in Singapore. While Serena Williams and Simona Halep are absent the favourite is Naomi Osaka. She has just broken in the elite and won US Open. Won’t be too much titles for young Japanese? Other players has the same chances. Maybe Elina Svitolina can stand out? Her progress is worth attention but it’s not steady. It seems to be the most unpredictable WMA tournament this year. Copyright © 2007-2018 «1xBet». Alla rättigheter förbehållna och skyddade enligt lag.